1973 Live in Wuppertal, FMP 0160. 1973 For example, FMP R123. 1974 Hamburg ’74, FMP 0650. 1974 Der alte mann bricht … sein schweigen, FMP S4 (single). 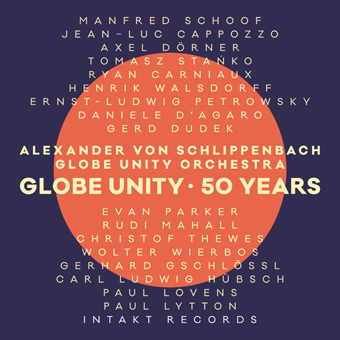 Globe Unity Orchestra.1975 Rumbling, FMP CD 40. 1975 Bavarian calypso/Good bye, FMP S6 (single). 1975/1976 Jahrmarkt/ Local fairPo Torch PTR/JWD 2., . 1982 Intergalactic blow JAPO 60039. 2002 Globe Unity 2002, Intakt CD 086.